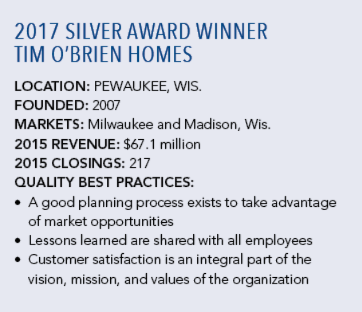 To get the high marks that Tim O’Brien Homes earned for customer satisfaction, the 2017 NHQ Silver Award winner had to deliver from contract through warranty. Doing so requires employees who are committed and engaged. The builder’s Milwaukee and Madison, Wis., divisions received top scores from NHQ examiners for employee satisfaction and staff performance management. They also noted management’s commitment to employee well-being and the company’s low turnover. That’s a credit to the career development and training that the semi-custom builder provides to back part of its mission statement: to exceed homebuyers’ expectations by creating a customer-focused experience centered on a professional, honest, and responsive team. Part of that effort included launching a 13-week customer service training program last fall through Forrest Performance Group, a training company based in Fort Worth, Texas, with weekly training calls, video lessons, weekly assignments, and online journal entries. The benefits were realized within a year as the Milwaukee and Madison division’s warranty experience scores, as rated by Avid Ratings, a customer experience firm, jumped from 79 percent and 57.5 percent, respectively, to 90 percent. 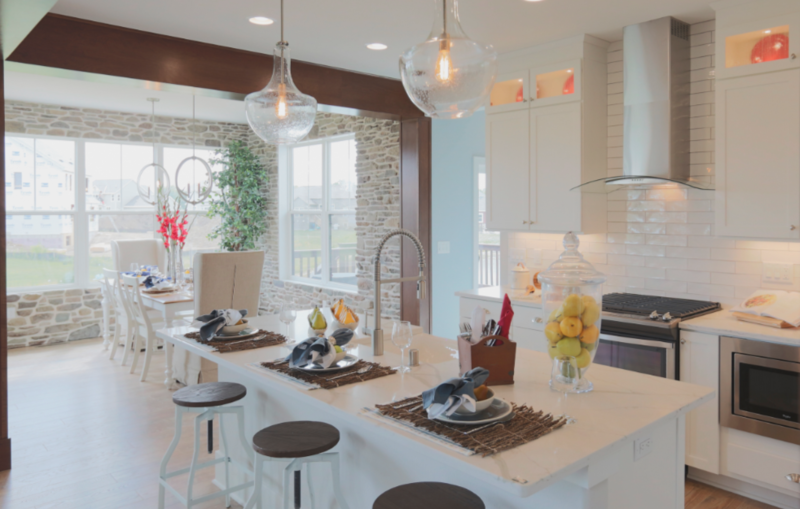 Kitchen and dining spaces in Tim O'Brien's Birchwood Parade model. 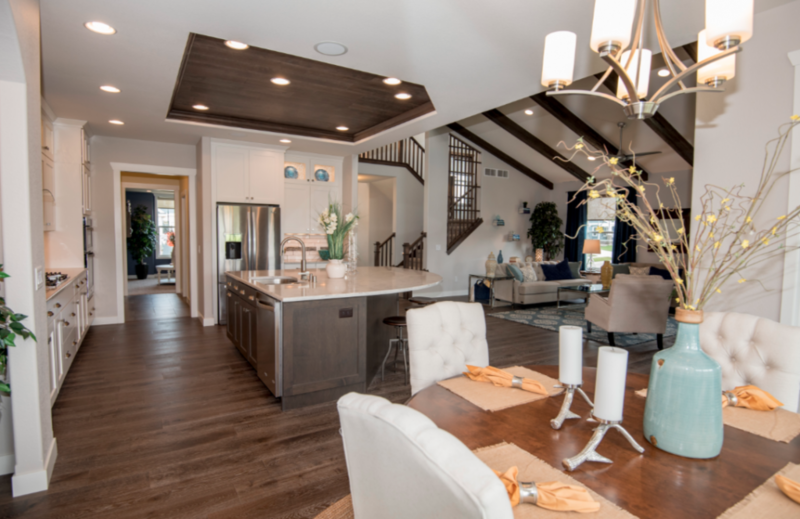 The Milwaukee division won Avid’s 2016 Benchmark Award for ranking within the top 25 percent of home builders for customer satisfaction, and Madison took that honor in 2015. 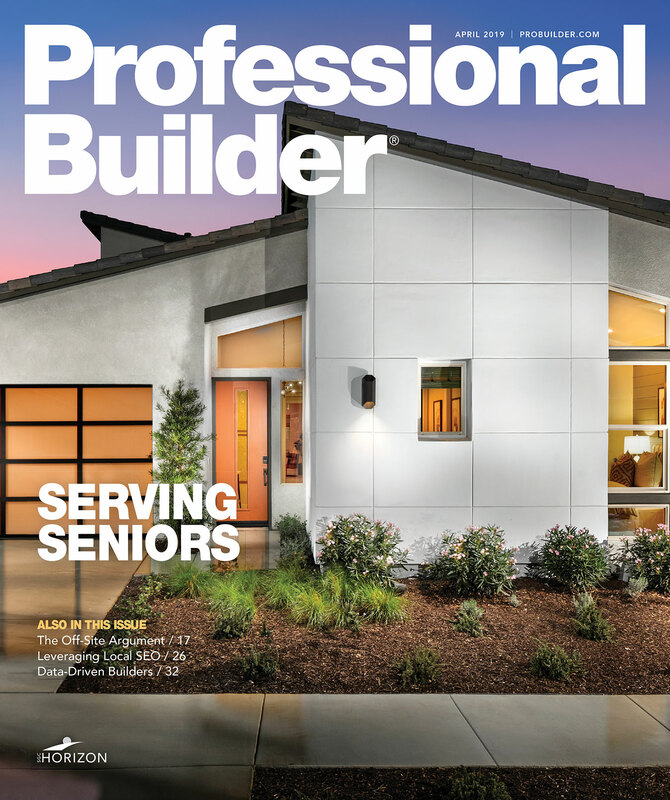 The recent scores included in Tim O’Brien Homes’ 2017 NHQ application show that the builder is among Avid’s top 10 percent. 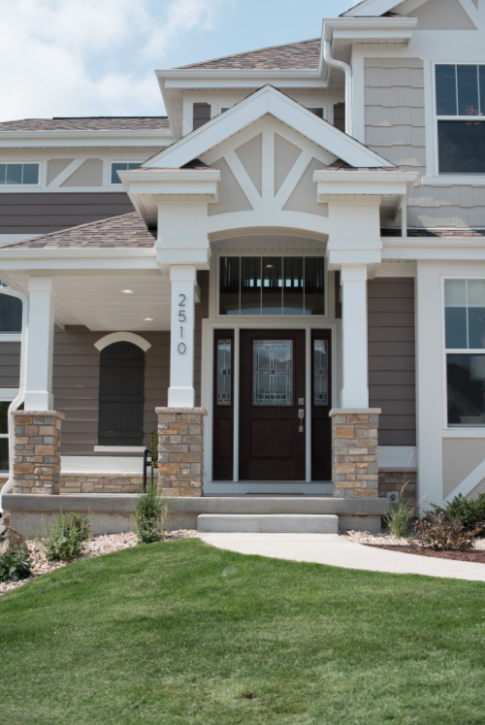 Tim O’Brien Homes establishes customer relationships by setting proper expectations with five formal orientation sessions during key parts of the process: pre-construction, pre-drywall, pre-close, the 60-day warranty checkup, and the 11-month warranty checkup. During the entire build process, new-home consultants and construction managers phone clients weekly to provide updates and identify any items that need attention. The Hickory Parade model's kitchen is light, bright, and airy, with touches of texture and tradition. Buyers also receive multiple Avid Ratings surveys to provide feedback about the construction process (sent around installation) and move-in (about 30 days after close), as well as a 12-month warranty questionnaire. If the builder is rated a 3 or below on a scale of 1 to 5, or if there are negative comments, calls go out to the customer to uncover more details and to find the root causes so that improvements can be made. 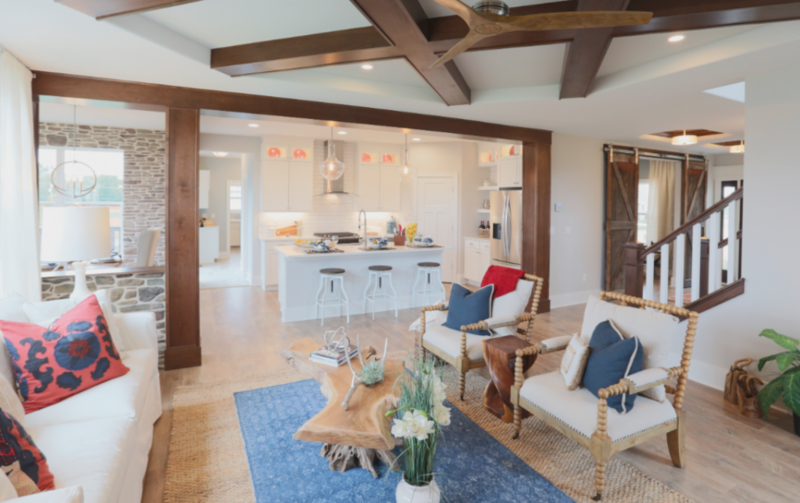 The living room in the Hickory Parade model opens to the kitchen, with barn doors and wood beams as accents. Rewards are tied to customer satisfaction and profit, with a bonus program that pays employees for exceeding profitability goals and a 92 percent customer satisfaction score. The Milwaukee division exceeded those targets for 2015 and shared in a $47,000 bonus pool. The company also started an annual recognition program based on Avid scores in several categories including best neighborhood team, best office team, best selections coordinator, and best communication within a department. 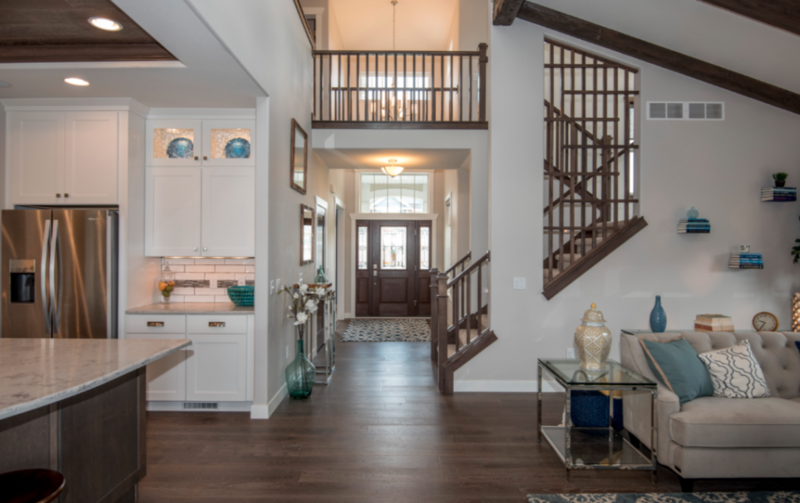 The Birchwood Parade model's entryway and central stair.